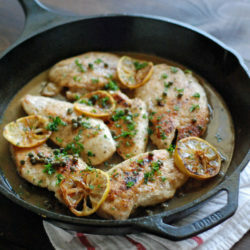 A gluten-free twist on classic Chicken Piccata, it tastes deliciously just like the original with the flavors of lemon, butter and capers. 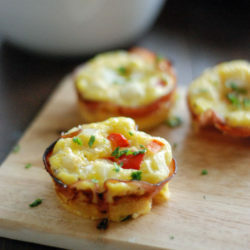 An egg muffin filled with onion and sweet peppers all held together with a slice of delicious ham. 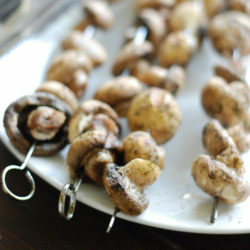 Mushrooms brushed with olive oil and seasoned with salt, pepper & dill. 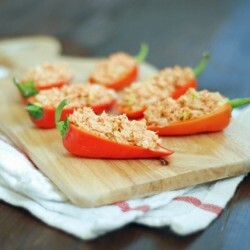 The perfect summer side dish! 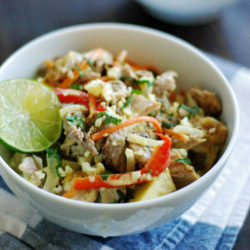 Tender pork cooked slow in the crock pot, then simmered with fresh vegetables in a coconut milk, curry, ginger and sunflower butter sauce. 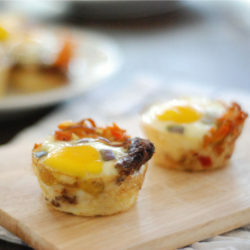 Egg muffins, filled with breakfast sausage and sweet potato hash. Perfect for those busy mornings! 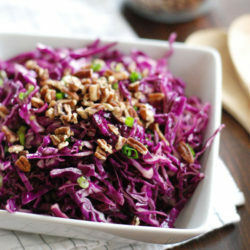 Bright Asian salad with a light, sweet sesame dressing. 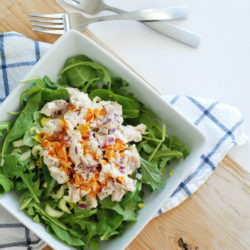 Chicken salad with a buffalo sauce dressing, so tangy and satisfying you’ll be eating this on repeat. 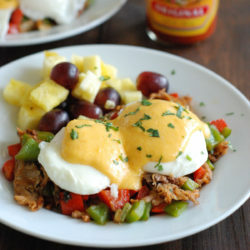 Eggs Benedict layered with pulled pork, onions, sweet peppers, all topped with Cholula hollandaise sauce. 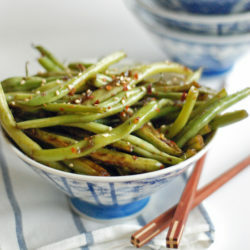 These taste just like delicious Chinese Restaurant Green Beans, and with healthy ingredients you’ll feel great eating these. 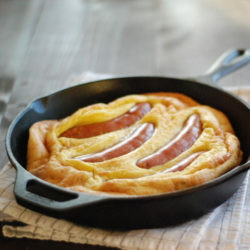 A traditional English dish, Toad In The Hole, has my healthy grain-free take on it, and is so delicious! Perfect for a weekend brunch, or even dinner. 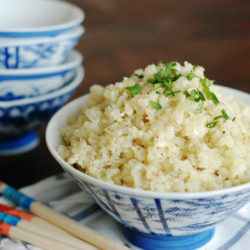 A paleo staple, this cauliflower rice is a delicious way to “sneak” extra veggies into any meal. Takes only minutes to make! 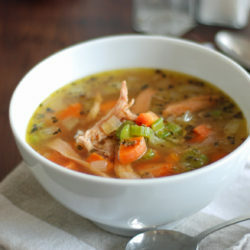 With a blend of earthy spices, and homemade broth, this Chicken Soup will surprise you with its deep flavors. 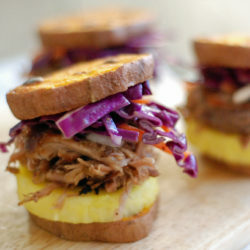 These Aloha Pulled Pork Sliders are a fun twist to your typical pulled pork slider with coleslaw. And with a sweet potato “bun” they’re still paleo! 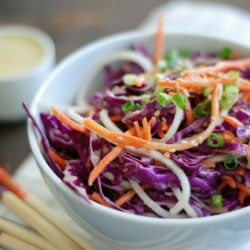 A great alternative to your typical green salad, the bright colors and delicious dressing in this Asian Sesame Coleslaw are sure to excite! 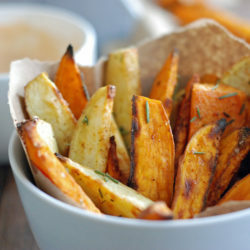 Crispy sweet potato fries with steak seasoning just like at the restaurants. A healthy version that’s baked, but still crispy to perfection. 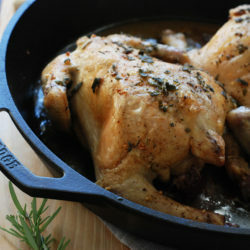 A simple, delicious, classic dish that is so easy to make you’ll have a fancy dinner ready in under an hour! 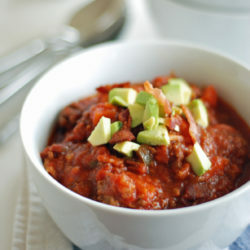 Delicious paleo chili, filled with veggies and bacon of course! Perfect for these cold wintry nights. 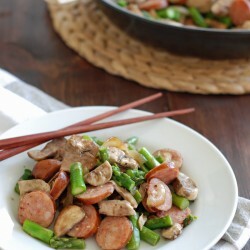 Fresh and healthy one-pan meal of kielbasa and veggies. 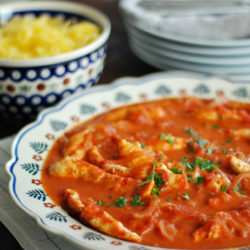 Quick, easy and your whole family will enjoy it! 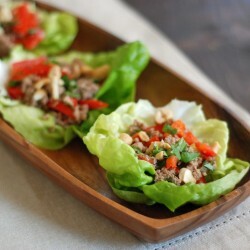 Simple and easy Thai lettuce wraps. They’re so delicious no one will notice how incredibly healthy they are! 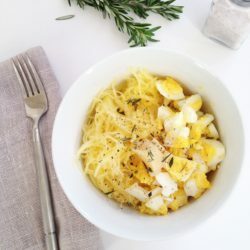 A delicious and healthy power breakfast with spaghetti squash and eggs. 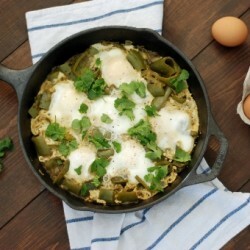 Huevos Chile Verde, where breakfast tastes so good you won’t notice its packed with veggies and is super healthy! 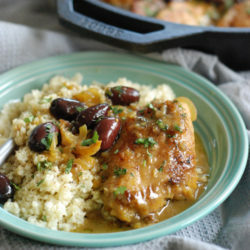 Delicious, healthy, 10 minute meal with no cooking!